So after blogging and loading my store last night, I went and took some Benadryl, and tried to watch an episode of V, but yeah, I was falling asleep, so I turned it off and went to bed. And slept like a log. hehe. And I got to Skype online with a few other military wives from around the country! My friend Stephanie set it up, and and I got to chat for a few minutes before Captain America got on Skype! I got off to go and chat with him. And we got to chat up until Jim went to the bus. Well, we missed the bus, so up until I drove Jim up to school. And as I was chatting with Captain America, I noticed this sticker on neck. Seriously? I have a Gala Apple sticker on my neck? hehe. When I got back from taking Jim to school, I started on cookies. I had rotten bananas that needed baked with, and chocolate chip oatmeal banana cookies with cream cheese frosting is my FAVORITE! They turned out SO cute! I baked 6 dozen, frosted them, and got them ready to take to Amanda's Pampered Chef party. And was there by 12:30pm. I'd wanted to shower today, but yeah, that didn't happen. hehe. Here's Terra and I hanging out. Let me preface this with I don't really enjoy artichoke, but these had artichoke in them and were DIVINE! We were supposed to join a group and help cook something, but we kinda just bounced around and ate and chatted. This is the main group that we pretended to join. hehe. I had fun playing with Austin (Amanda's kid) Iron Man mask. hehe. Maggie and I headed out at 2:30 to pick up Jim and little Jake from the bus, and back to Amanda. Jim was pretty excited to play with Austin. We stayed for about 30 more minutes, I ordered my stuff, and we headed out. I got home JUST as Jake was getting off the bus. And I finished baking the last 8 batches of cookies. Since we'd done chores last night, it didn't take very long to get the chores done (or mostly done) again. And Jim's coach called. Not the one that he'd joined on Wednesday. They'd put in a transfer, and he's gonna get to practice on Mondays. Sweet! His coaches name is Joe, and sounded like a pretty nice guy. And at 5:30pm, we all loaded up in the truck, and headed out to our Waiting Families activity. Over at Gatti-town. Terra said it was AWESOME, so we were pretty excited. She met us at our house, and I followed her across town. We got there, and got to eat dinner first. My kids were SUPER impressed with the buffet. Pizza, salad bar, pasta bar, desserts. It was pretty cool. We ate in the "theater" room, and they had Nick Jr on. Yeah, the twins LOVED it. Heck, my kids LOVED it. hehe. After eating, we used the bathroom, then got our play cards. I liked that there were no stinky tokens like at Chuck E Cheese. hehe. It was all on a swipe card. Ours was pre-loaded with 45 minutes worth of free play on ALL the machines and rides. Then, you just swipe your card, and it gave you play. SO cool! My favorite was the bumper cars. There were 5 of them, so me and 4 kids got to go at once. I always had a fun slamming into my kids with the cars. ROFL! 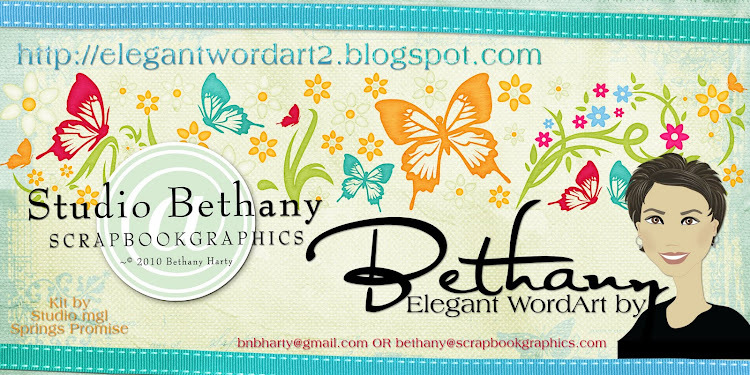 Here's the card we got. Each one of us had our own. After 45 minutes, our cards were empty. But they'd told us that we had ONE more ride after the card expired. Sweet. We weren't really sure how that worked, though. Jim and I were hanging out together, and I didn't know where the rest of the kids went. After our last game (Mario Cart), Jim lost his card. No biggie, since his card was empty. But he was SO concerned that it was gone. So, we went back to where we were, and some people at the game found it. And we turned in our tickets to the machine, and took them up to the people behind the desk. They added up the tickets (23), and he tried to decide what he wanted. Yeah, a bouncy ball or some candy. Not much for 23 tickets. And the people behind the counter needed the card. Good thing we found it, right? So I turned it in, and the dude was all confused. He was like, this card has a TON of money on it. Is that right? Nope, I said. It should be empty. So he took it to the back, and gave us a new card. Sounded good to me. And gave us 40 tickets for our trouble. Then, the people who found the card for Jim came back, and said that they thought they'd given us the wrong card. Theirs had a TON of money on it, and the one they had now was empty. Ahhhh, that's what happened. We got it all straightened out, and the guys was SO happy to get his card back, that he gave Jimmy all the tickets that's he'd won so far. Sweet! So now Jim had 176. And he picked out a WHOLE bunch of little crap. hehe. Bouncy ball, army men, fake snake, candy, who knows what else. He was having SO much fun picking stuff. Eme and Jake and Tom and Joe caught up with us around that time, and Eme and Joe both had a few tickets to turn in. And they got some candy. And we all tried to decide on what we wanted to do for the last BIG item. And then we learned that we only had 2 rides left. The other people had already used the last big one. Oops. So we sent the kids to the go cart racing. So that Jim could ride it, because he didn't get a chance yet. Oh yeah, and he got vampire fangs, too! Here's all my kids. Aren't they cutE! So at this point, we weren't sure how many rides we had left. We got to the front of the line, and found out we only had 2 rides. So Jim wanted to go, but had to be a passenger. And he wanted Jake to go with him. So Jake and Jim were gonna use the last two rides. And when it was actually our turn, they said that a 2 passenger car only counts as ONE ride. Sweet! So that left one more. Eme hadn't had a turn on the go-carts, because she had on flip flops. And it said on the sign not to wear them. But the dude didn't care, so he said that Eme could go! And I asked if I could be a passenger, and he said yes. We tried it in the 2 person car, but she really wanted to drive, and had to be 16 to drive me. So the dude just let me go in my own car, and her in her own. Score! Free ride! hehe. Tom and Joe had to stand and hold my purse. hehe. Poor kids. It's ok. They'd got a chance to go already. Eme and Jim and I hadn't. The race car part was TOTALLY awesome. I got going fast enough to feel wind on my face! I was 3rd. And I lapped Emeline. hehe. OK, now this video. My voice is NOT that high normally. I guess I was kinda excited, because of the racing around the track and all. And I was being a little goofy. Jake informed me upon watching this video, that I was using my "silly" voice. It's the voice I use when I'm playing around. Ha! Anyway, just know that it's not my "regular" voice.... hehe. My kids had SUCH a great time at Gatti-town. Thanks to the Waiting Families program for putting it together for us! You guys ROCK!!! My kids TOTALLY wanna come back for a big, group b-day party when their dad comes home on R&R. $229 for 10 kids and 10 adults, including buffets and 45 minute free play cards. We've gotta be saving our $$$, I think. hehe. We loaded up in the truck, and headed home. Singing the whole way. Everyone was in a GREAT mood. We put the little kids to bed, and Jake and Tom and I watched that Bruce Willis movie, "Live Free and Die Hard", or something like that. Yeah, I like that one. Where he drives a car into a helicopter. hehe. SO cool. Not realistic, I know, but cool! And here it is, 11:38pm. The movies is JUST getting over. I'm done blogging, and am gonna put the big kids to bed. And may finish watching that episode of V that I started last night. Tomorrow, we have a ball game for Joe at 10am, and then kids are going to childcare from 3-8. Tom may skip and go to the youth center with Jake. I'm not sure about that one yet.... I'm afraid that Jake will try and boss him around, or be mean to him... It could be a GREAT time for the two boys. Or it could be awful. Hmmm. I'll have to think about that. Sharon, my dear. You are TOO funny. You should have used the crazy picture of me with the bandaids on my face - ROFL! Thank you so much for this post. 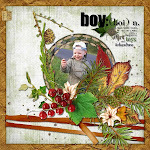 I want to let you know that I posted a link to your blog in CBH Digital Scrapbooking Freebies, under the Page 9 post on Apr. 30, 2011. Thanks again. Great word art. The perfection font is super! I Love the Font, what is it? You've been Scrapped, Lovely Page!